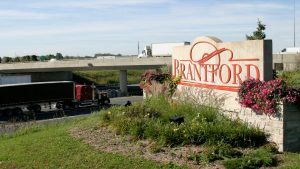 Brantford, Ontario has been seeing the YESCO truck around town a lot lately. 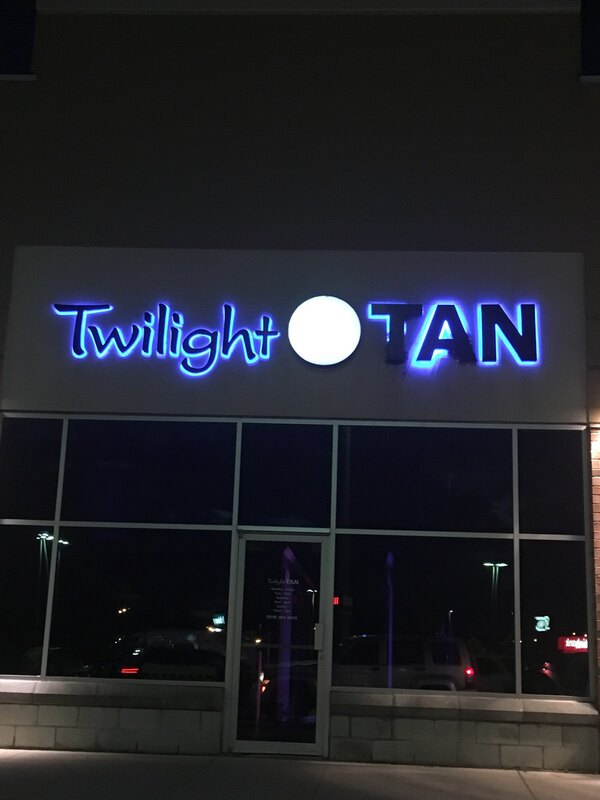 Prospecting for signs that need service is a large part of our business plan, and that’s how we met Clare from Twilight Tan. 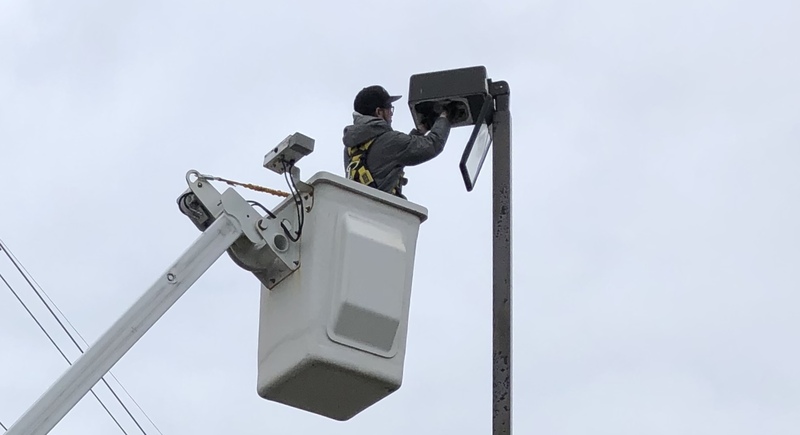 If we see an issue that they should know about, then we take some photos and forward them to the local decision makers to see if its something they would like to repair. 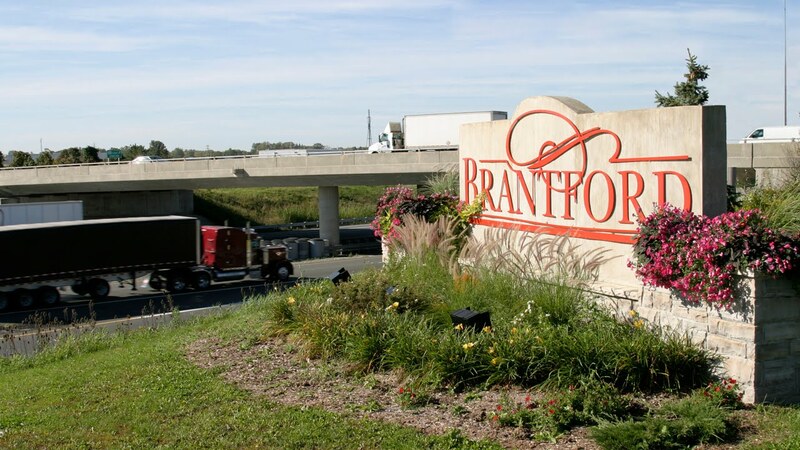 We tie in multiple locations in the same area each time we visit to avoid having to charge any travel time at all. 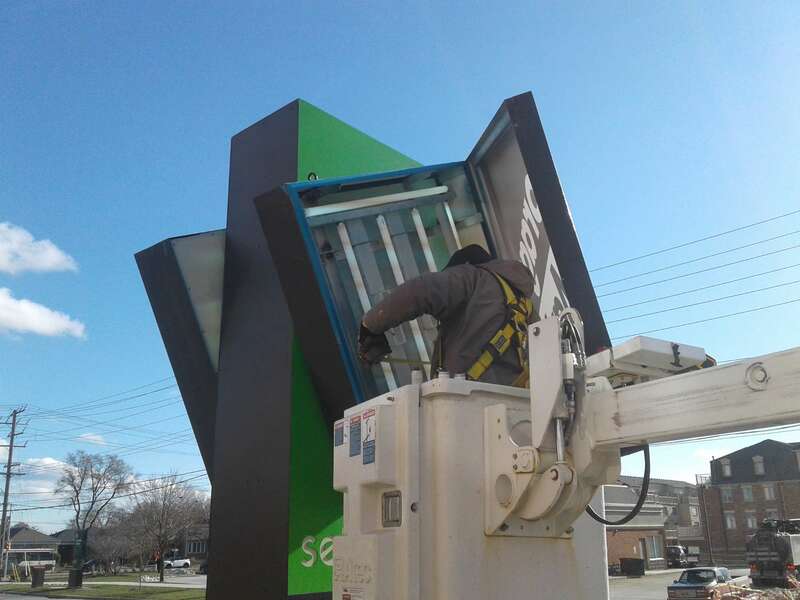 Our trucks can reach 40ft to repair signs and pole lighting but of course our technicians have ladders on their trucks to come inside shopping centres to repair indoor signs. 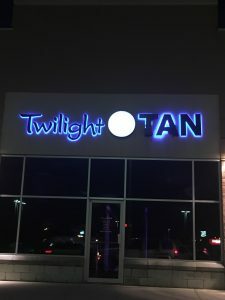 Twilight Tan on Colborne St. West in Brantford, ON had bird nest problems. Our technician came out and took each letter off the wall, added a product that deters birds from nesting in. Though most of us love having birds merge with the city, having them right above your entrance on your storefront is just not practical for most business owners. 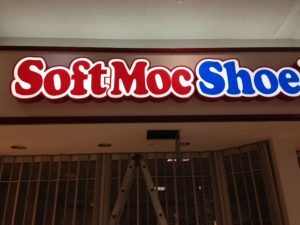 Repairing SoftMoc shoe store in Lynden Park Mall.